The girl's teachers organised an activity for the grade 3 end of school term to encourage them to put together some skills and knowledge they learnt over the school year. 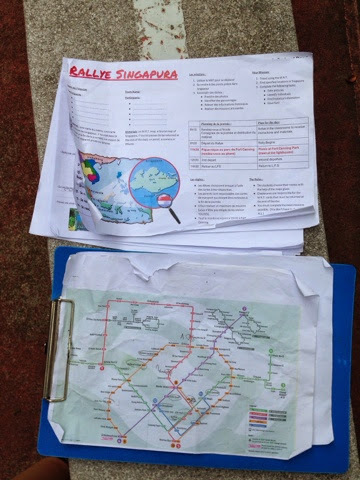 "Rallye Sungapura" is a amazing race like outing for the students to put into practice their map reading skills, navigation skills, reading skills and the life skill of using the public transport (buses and mrts). 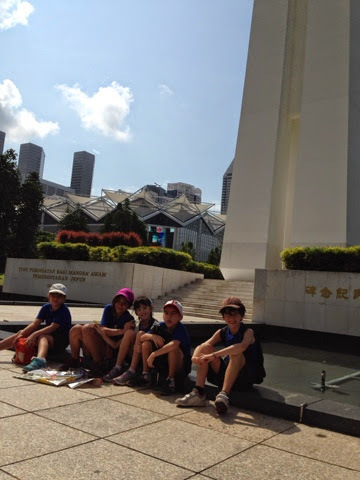 It also incorporate some history and geography into the entire activity. And so, on the day of, we had to report at the school at 8am! We were all given a small bag of food for lunch, consisting of a bottle of water, a baguette sandwich (what would you expect from the French school), a bag of chips and a packet of Oreos. Then we huddled into a classroom and were given our instructions. A pair of parents would take six children with us and try to go through as many of the "Places of Interest" listed as possible. 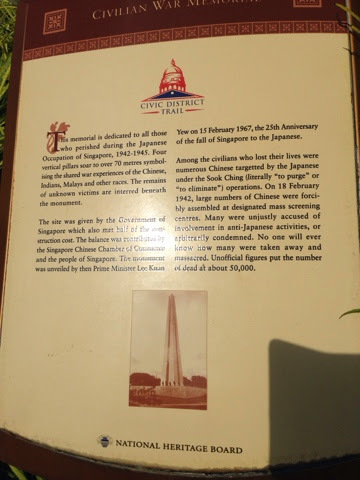 There were 14 locations and they were spread all over Singapore. We were supposed to only take the bus or MRT. Of course, we were welcome to walk too! 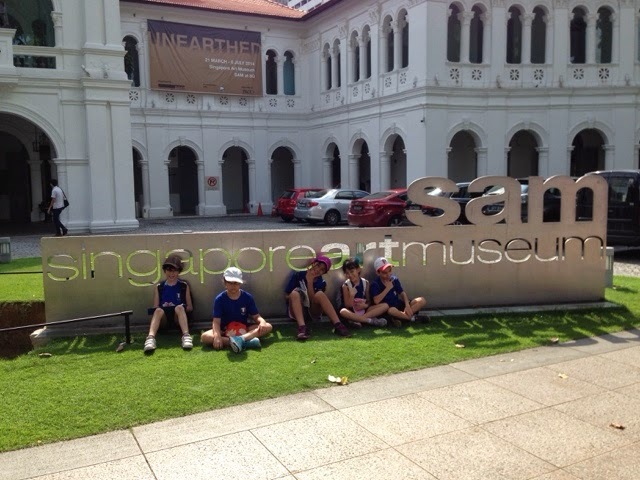 As a general guideline, we were advise to go first to Orchard to the Singapore Visitors Centre to get a tourist map to help us locate the various places of interest. Luckily for our team, being Singaporean, I already knew where to find most of those listed. 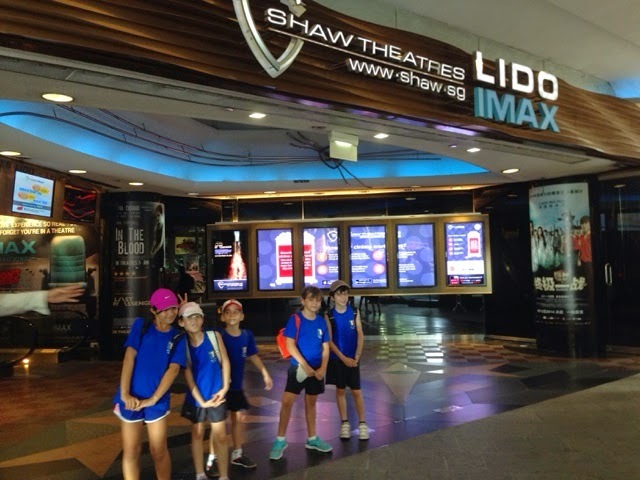 So off we go.... We appointed one of the kids to lead us to orchard from the school. We had to take a bus and then an MRT. We began to cross off the list. 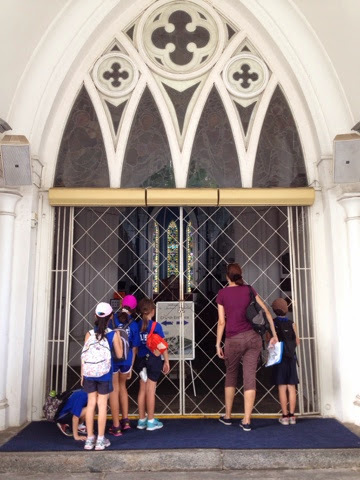 And then we were off to the lighthouse of Fort Canning to join all the other teams for lunch at around 11:30. We had a good picnic lunch and I managed to have a chat with the teachers and some of the parents. Interestingly, some parents were raising some points about elitism in some of classes in the school. I was rather amused because whatever they are referring to pales in comparison when we look at how our local school promotes elitism with exams, streaming etc. In the French school, students of all capabilities are accepted and classes are mixed and never grouped according to the children's grades. The French educational system do not encourage examinations until O levels! And before this major examination, students are never placed in classes to segregate them according to their grades or abilities/capabilities. And being someone who grew up in the local education system, I am glad I managed to give my kids a break from the pressure cooker. Learning is made less stressful without the constant pressure to have to meet certain grades or marks. And so, after all these intense conversation, we were ready to embark on the next part of the rally. 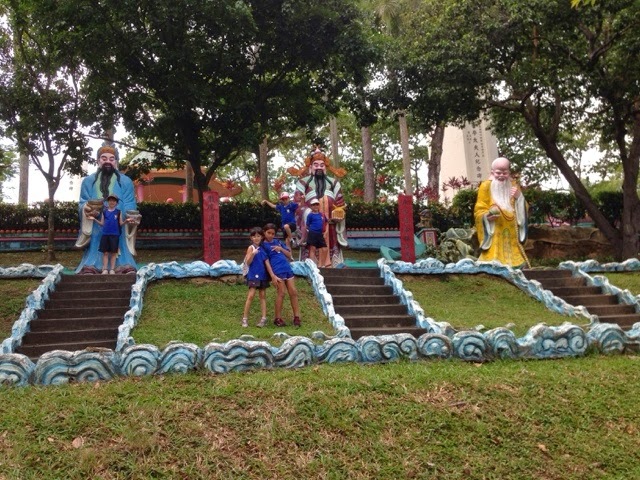 Looking at the charts and maps, we decided to explore one of the points that the teachers recommended, Haw Par Villa. 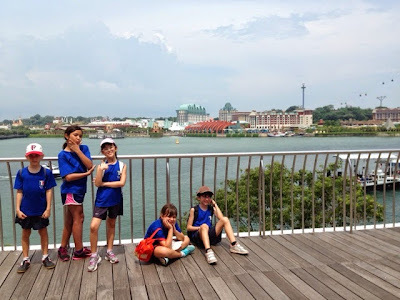 And since it's along the way of Vivocity, which was another that we should tick off on the list, we stopped by to complete our task of that location. 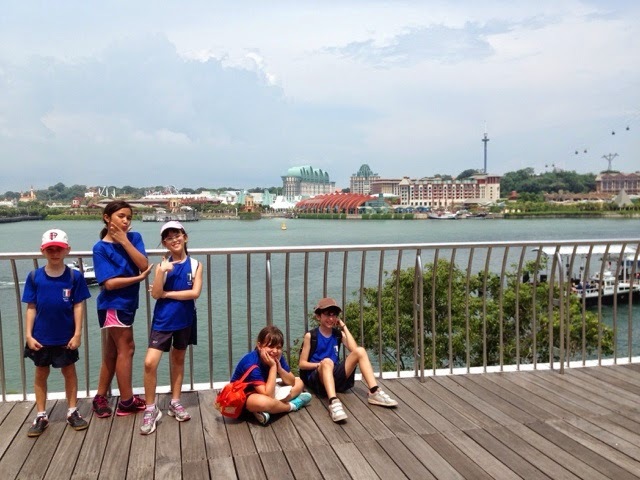 We had to get to the top of Vivocity and take a picture of Sentosa. We also took the opportunity to grab some fruits for dessert and juices to fuel us up! And finally, using the MRT, we got to Haw Par Villa! We were warned by the teachers to NOT bring the kids to the courts of hell though. 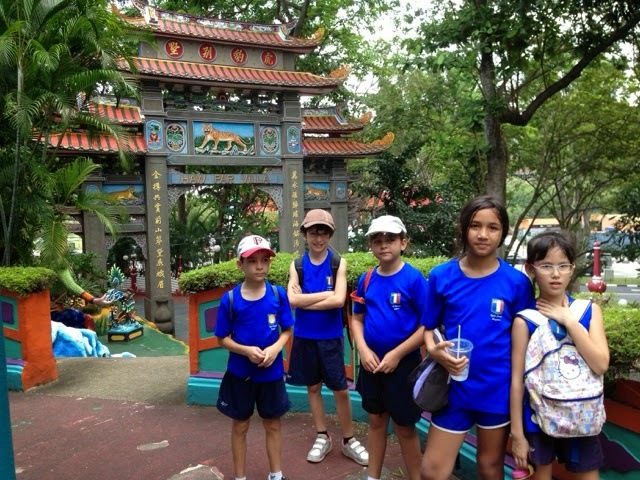 In addition, we had to explore the park to find out more about Tripitaka. At first I was wondering who is this Tripitaka. Upon reading more on the questions we had to answer, I realized that he is none other than the master of the monkey god in Journey to the West! I only know him as "Tang San Zang" from all the local TV shows during my younger days. And before we could gather all the information required, we noticed that it was beginning to drizzle and we are running behind time! The adults quickly gathered the children to make the trip back to school as two of them were taking the school bus home and we cannot afford to be back late! In the end, by the time we reached Ang Mo Kio MRT station, we were seriously behind time so even though we were told not to, we had to make the last part of the journey by taxi. As I had to pick the little boy up from his class as well, I rushed along with the ones who had to catch the school bus to the taxi station to hop into the cab. 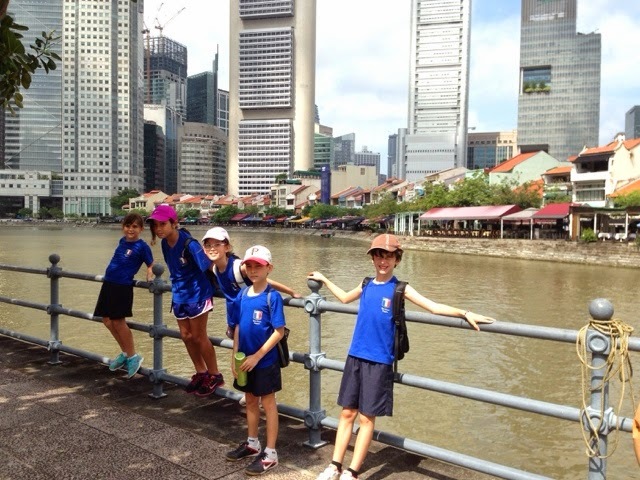 Thankfully, we managed to reach the school just five minutes passed the end of school day! What an eventful time! I had to apologize to the boy's teaching assistant for my delay and luckily, the two students did not miss their bus. Eventually, the others caught up as well. It was definitely an exhausting day but very fulfilling and enriching too. 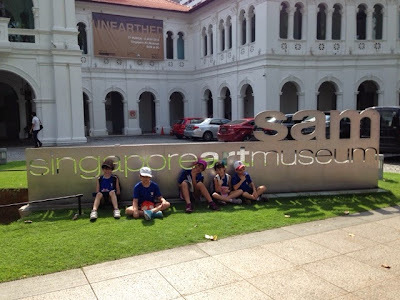 I'm sure the grade 3 students thoroughly enjoyed this massive and ambitious outing. For the parents, I'm sure the foreigners learnt more about Singapore and the locals like me needed to have our memory refreshed. This is something parents can attempt with your kids too. 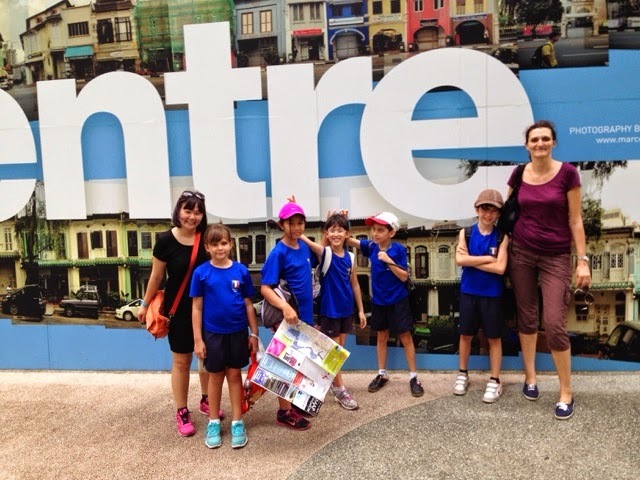 Pick up 10 places in Singapore of great significant and let your child/children pick a few and then plan out a route to visit these places within 4-5 hrs. It's fun and challenging at the same time. Go, try it!